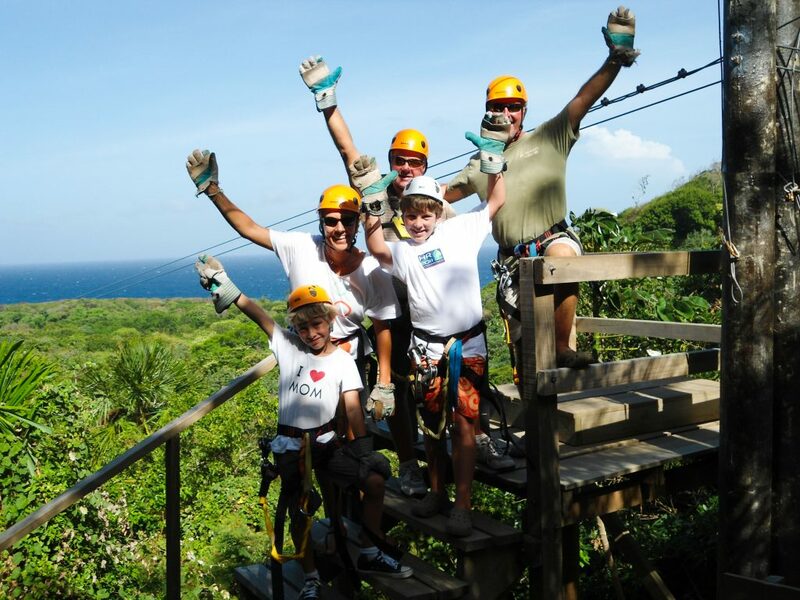 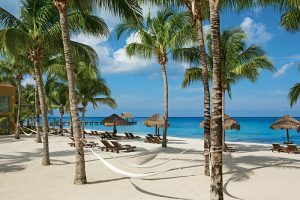 This Island Marketing Exclusive Excursion combines the best of Roatan Land and Sea activities with our Combination Roatan Canopy Zipline & Reef Snorkeling Tour. First, an exhilarating jungle zip line experience, high on a mountainside on the west of the Island. 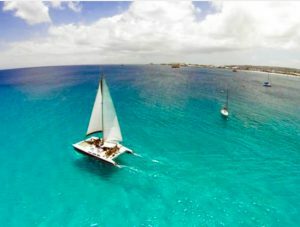 Following your jungle adventure, you then descend for a great coastal boating tour, from West End village out to Blue Channel. 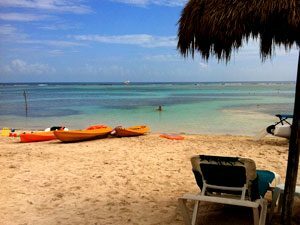 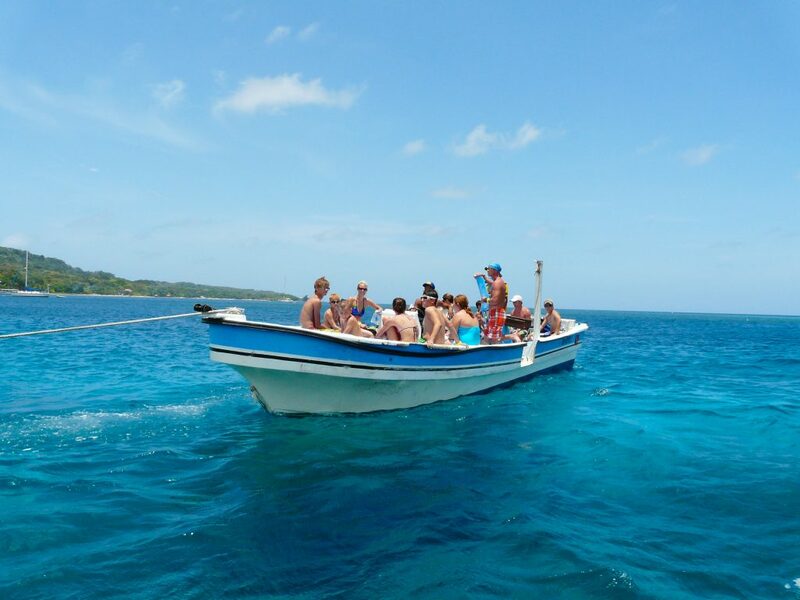 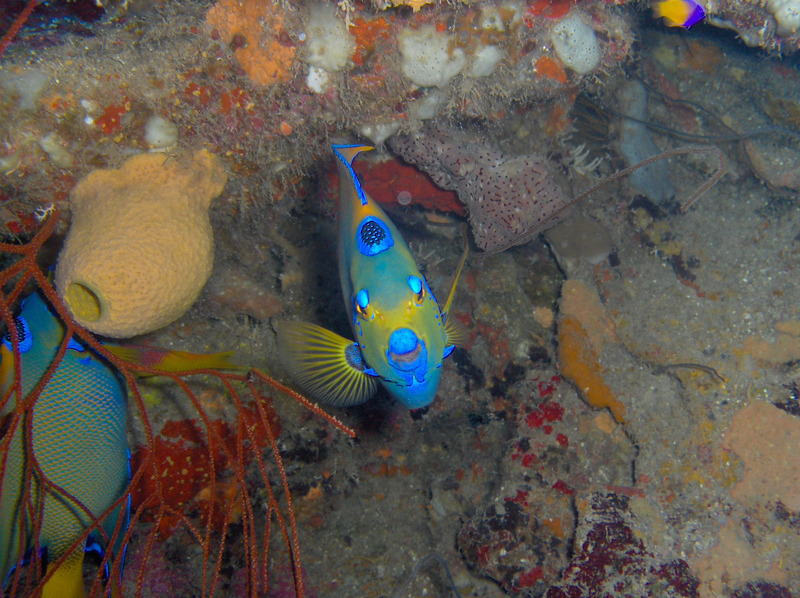 Blue Channel is one of Roatans best snorkeling sites and offers an incredible opportunity so swim with schools of tropical fish and see the delicate reef system of Roatan. 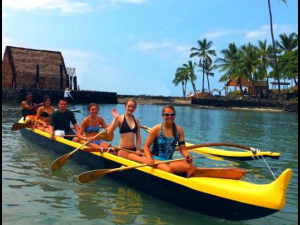 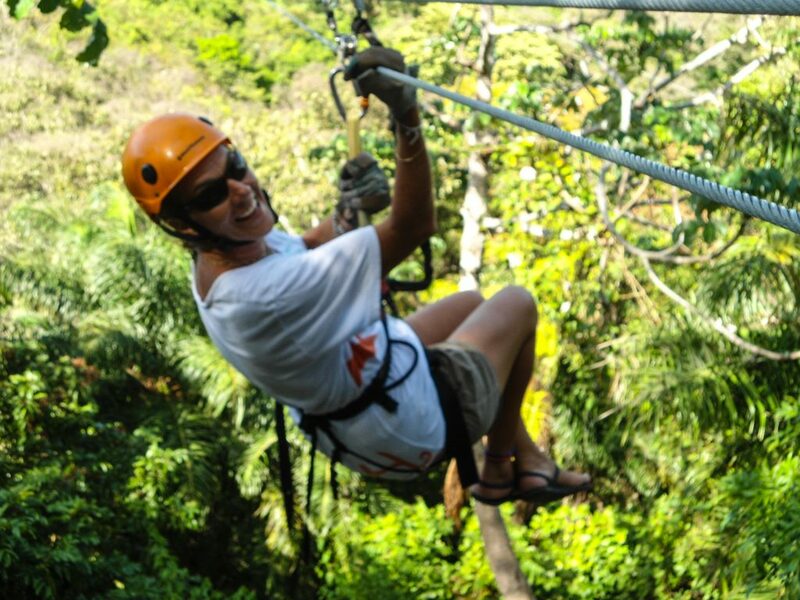 This exciting excursion is great for virtually all ages and fitness levels. 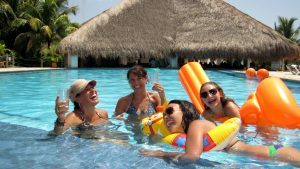 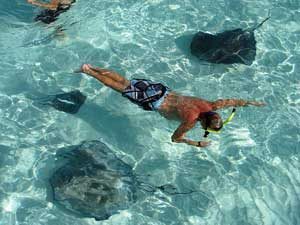 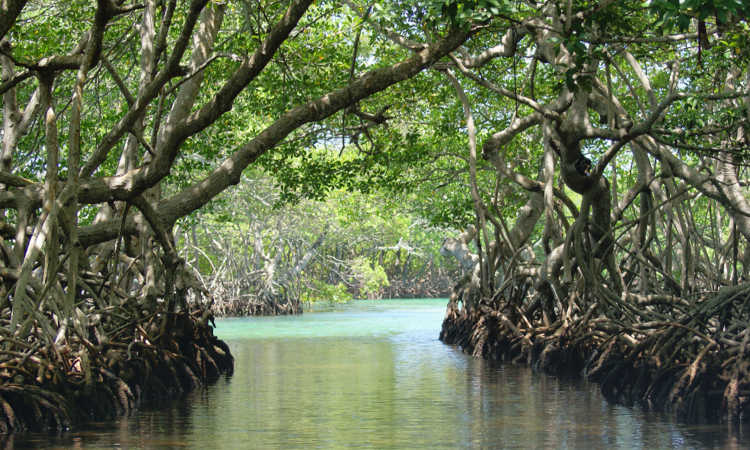 The first priority of our professional guides is your safety and security, while you enjoy this fun filled day of gliding through the jungle canopy and snorkeling in Roatans crystal clear marine environment. 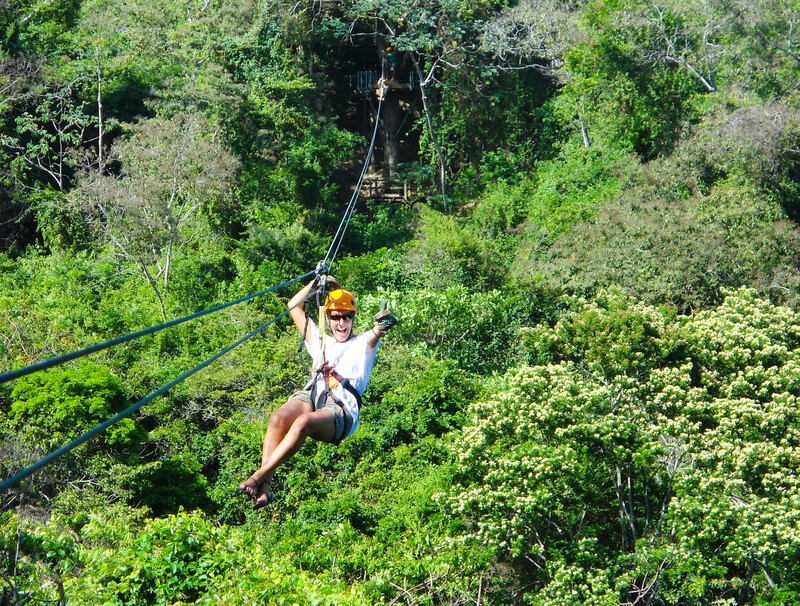 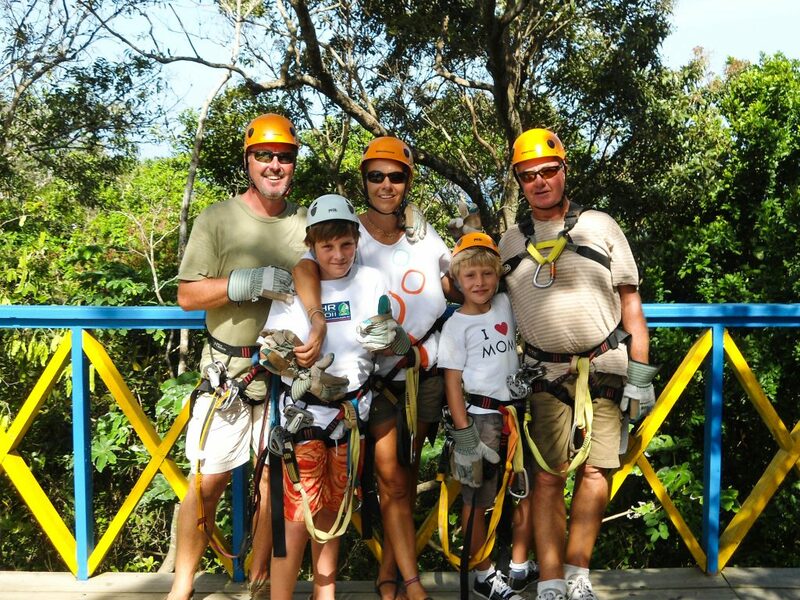 Following your orientation and equipment fitting you will set off with your guide on your Canopy Zipline tour. 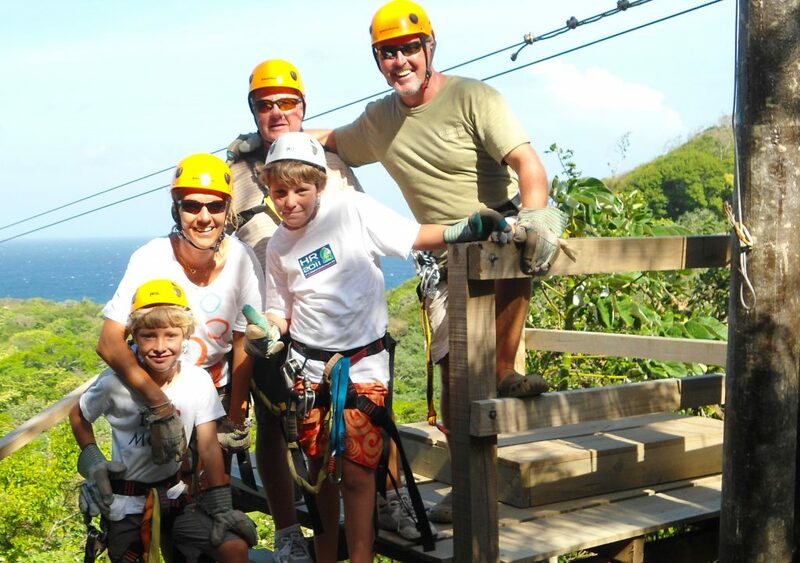 This canopy zip line system is composed of 14 platforms set high in the jungle, and 13 separate zip lines ranging from 135ft to almost 1000ft in length. 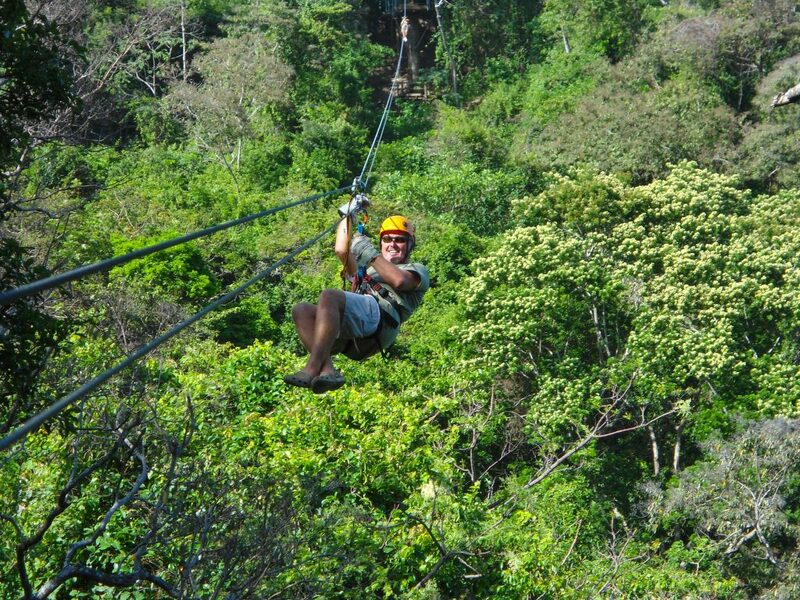 As you set off on your breathtaking journey, you will hear and see the jungle wildlife along the route, so keep your eyes and ears open. 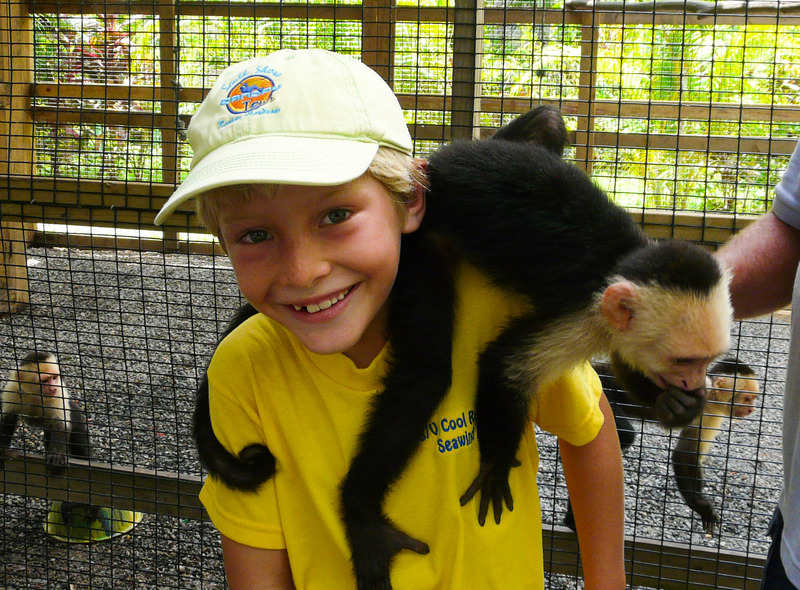 Spider monkeys, parrots, and vivid green iguanas are all residents of the jungle below. 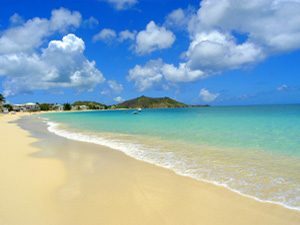 Next stop, West End, for a refreshment / snack time or souvenir shopping. 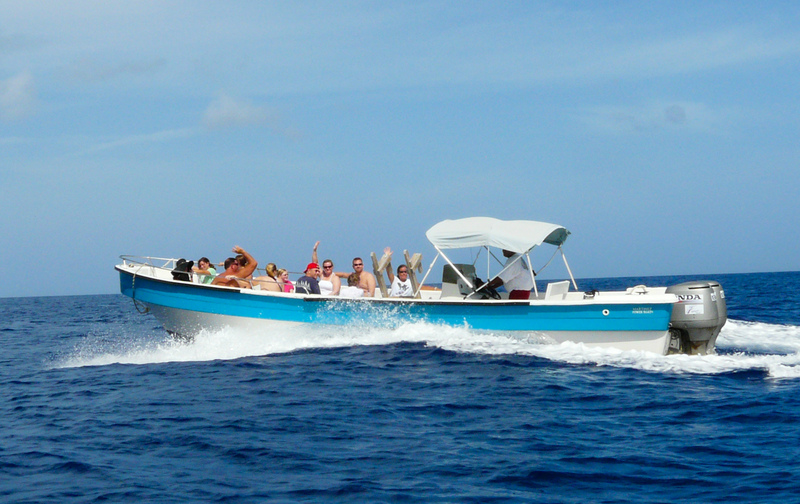 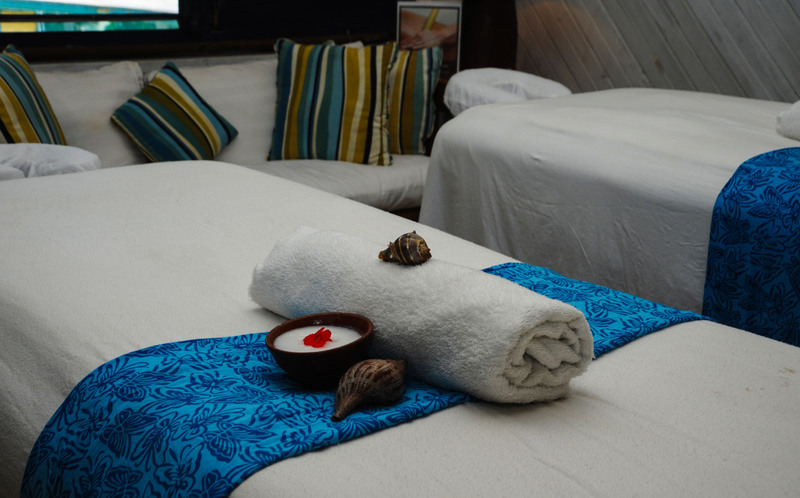 You will then board a spacious and powerful boat, for your snorkeling experience. 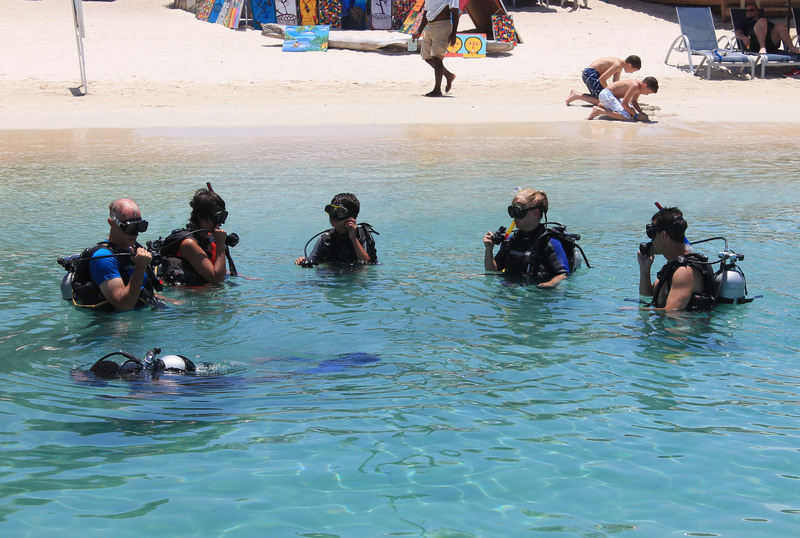 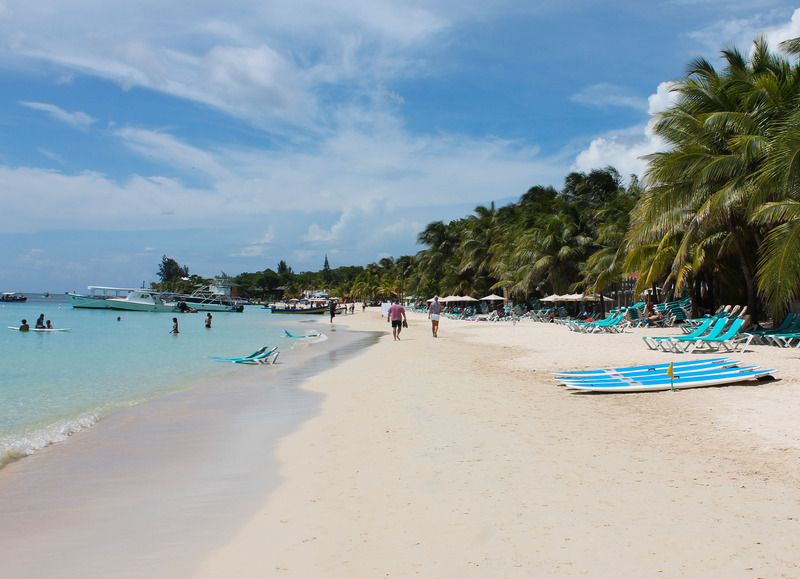 The bay is protected by a coral reef and aquamarine waters, making this an ideal location for snorkeling. 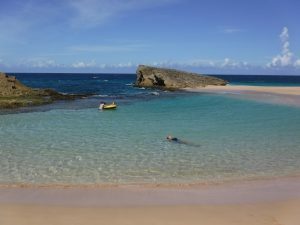 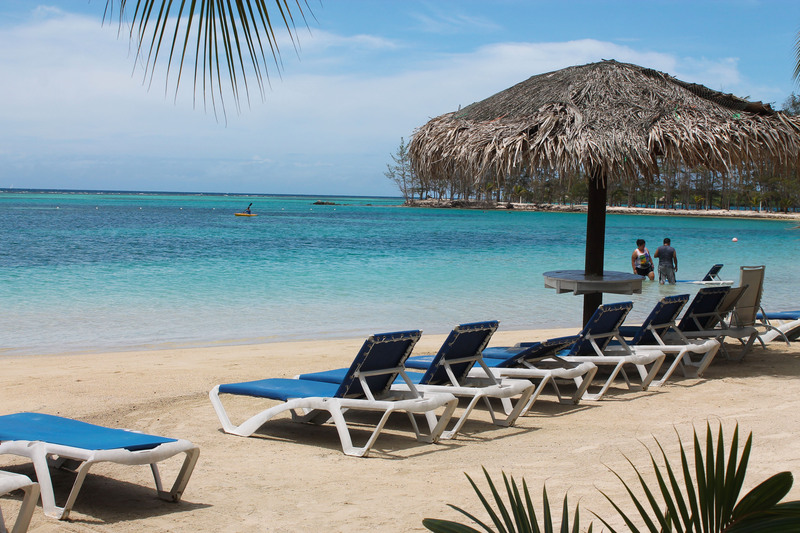 Relax and enjoy the beautiful scenery en route to one of the most spectacular snorkel sites in the Caribbean, the famous Blue Channel. 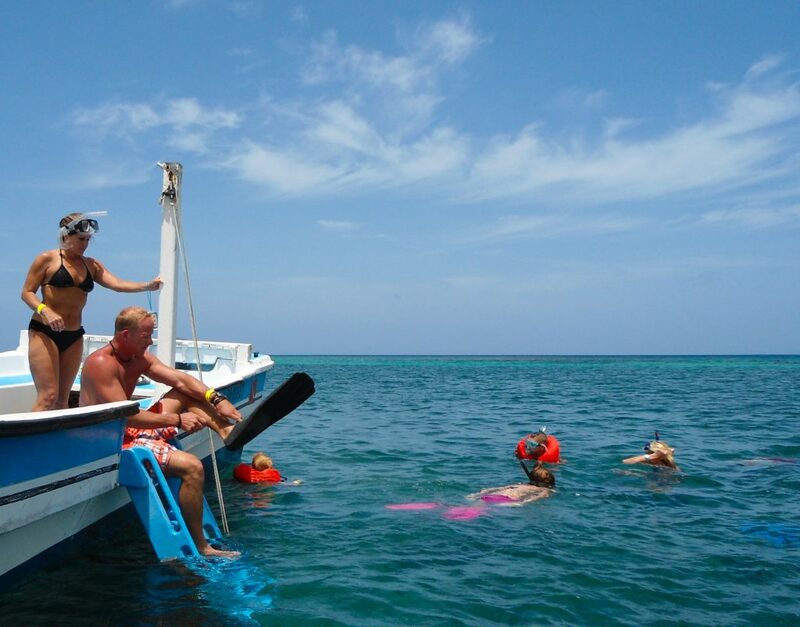 Jump into the crystal clear water for a guided snorkel, on this pristine coral reef, for a 1 hour magical show of color. 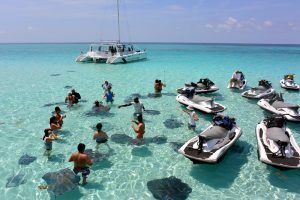 Here you will see towering coral formations, and schools of thousands of brightly colored tropical fish at this tranquil spot. 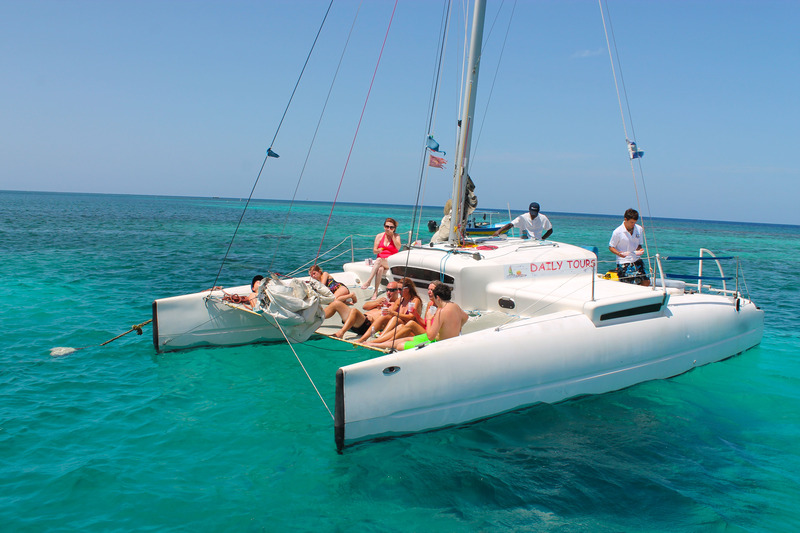 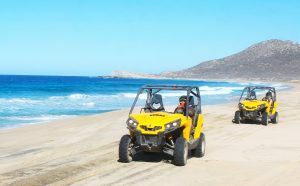 This fun filled adventure is ideal for those that want double the fun for an incredible value! 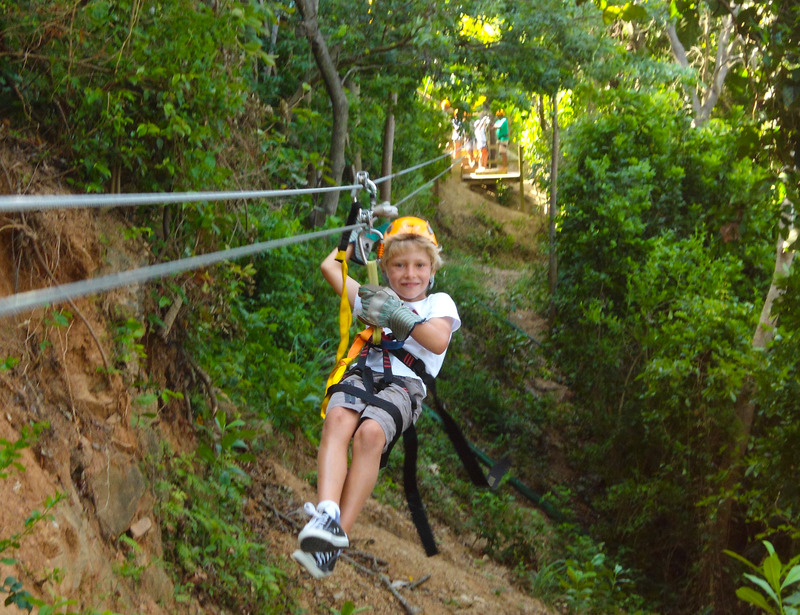 Kids under 70lbs must ride tandem with the guide on the zipline, and will be securely fastened with their own harness.